Tioman Island is one of the most beautiful islands in Southeast Asia located at the eastern coast of Peninsular Malaysia. This beautiful island attracts many visitors from around the world every year as they get to the island by speedboat from Mersing, Johor or Pahang. 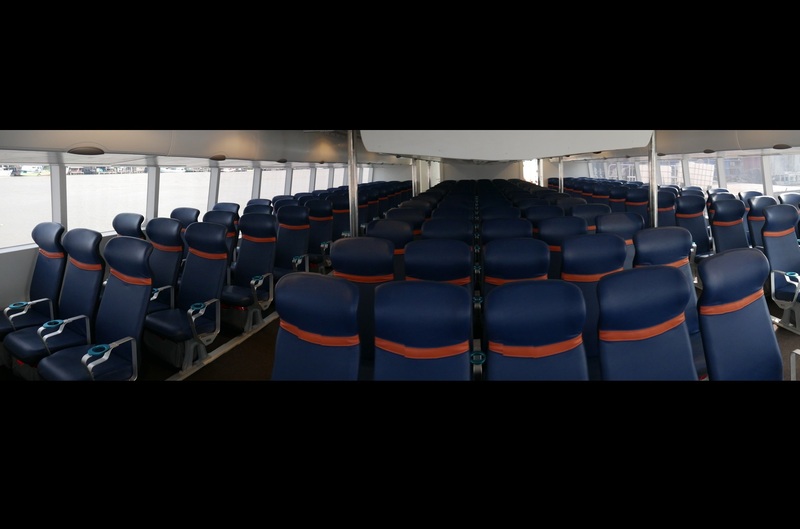 The Tioman ferry available for booking on Easybook is Cataferry, so check the schedule for ferry to Tioman to make the online purchases for the ferry ticket of your choice and travel to Tioman Island without hassle by following this simple booking guide we have prepared for you. 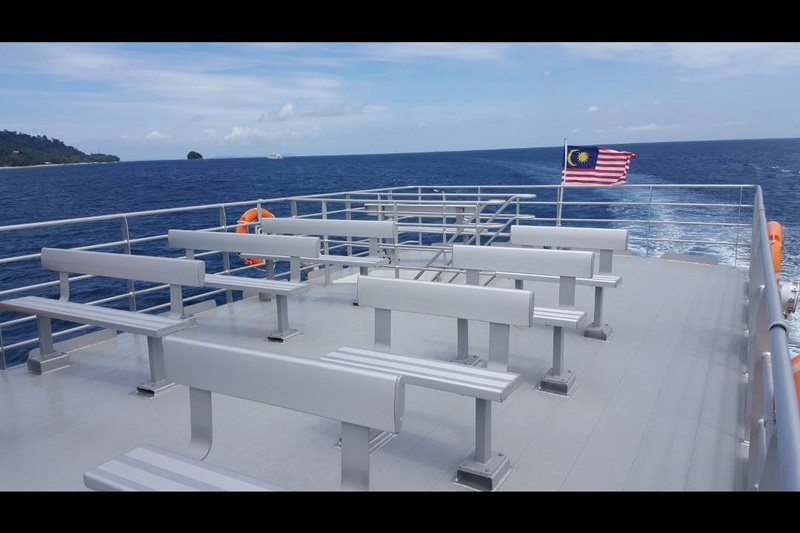 Getting to Tioman Island can be just as affordable and easy with Cataferry as it is one of the ferry operators that specializes in providing services from the state of Pahang to Tioman Island with reasonable fares. 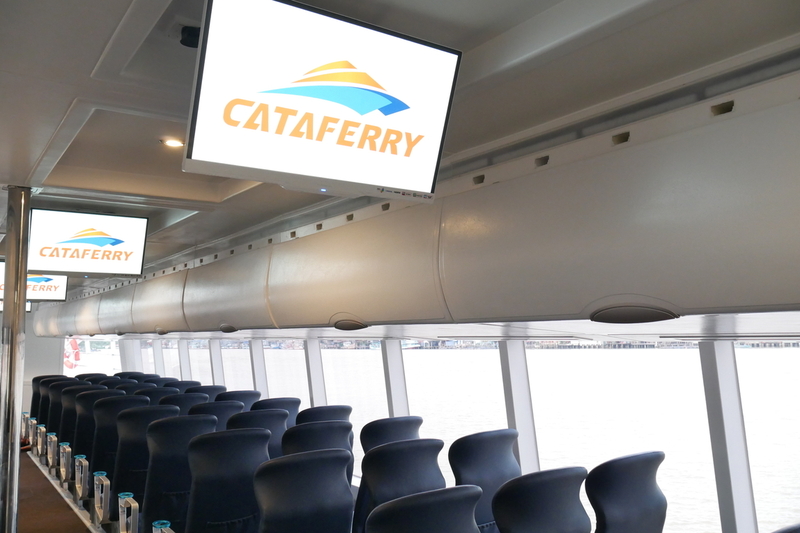 Air conditioning systems are equipped on Cataferry Malaysia ferries to keep all passengers cool during the journey. 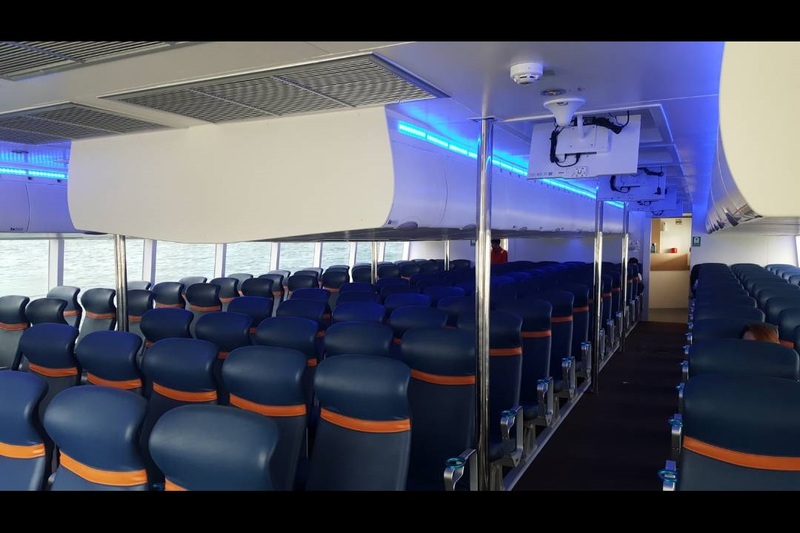 The ferry to Tioman or also known as Pulau Tioman in Malay are available in double decker format to accommodate travellers. 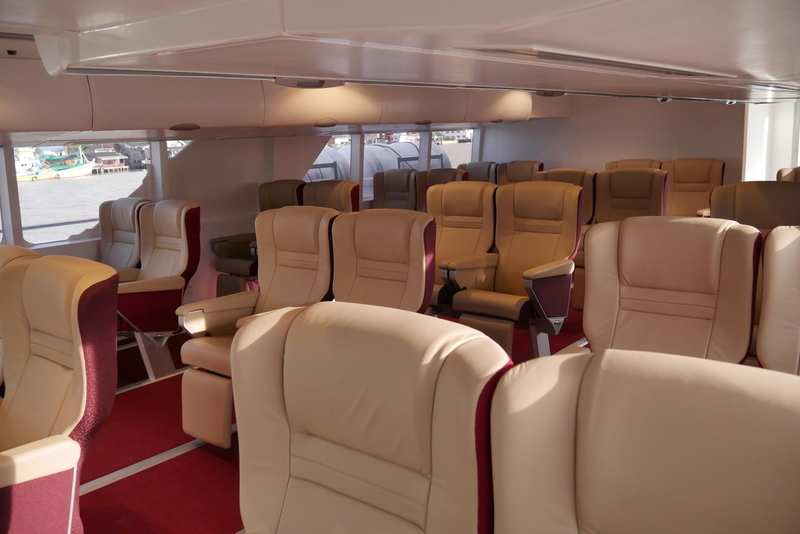 Each ferry deck is available to cater to 149 premium economy marine seats. 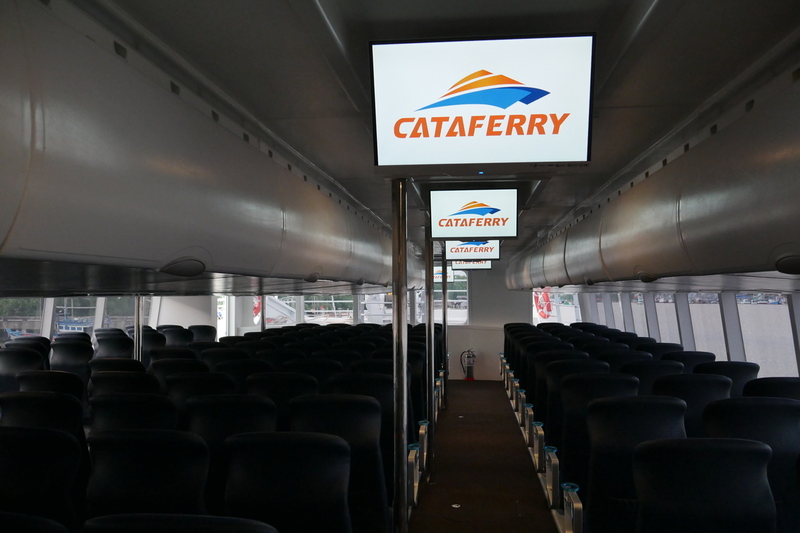 Cataferry also offers open air seaters onboard where passengers can enjoy the fresh air and sea view when they are onboard the ferry. 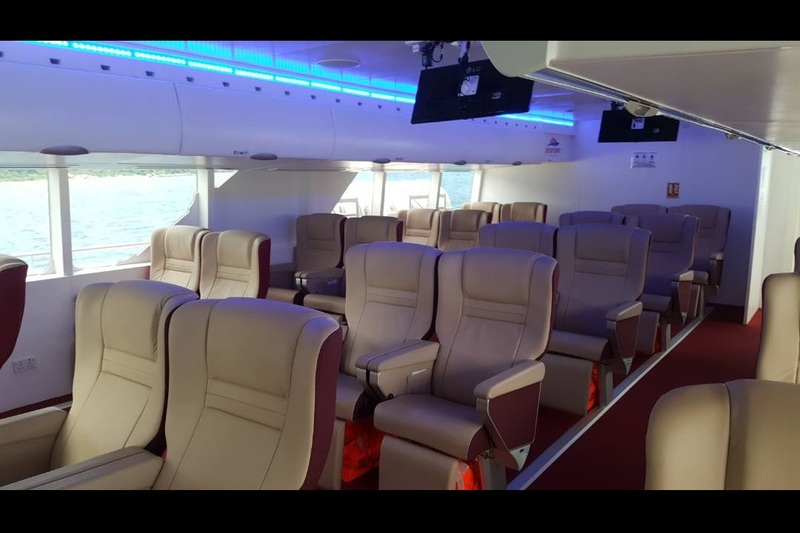 On top of that, the ferry to Pulau Tioman is also equipped with overhead luggage compartment for the convenience of the passengers. 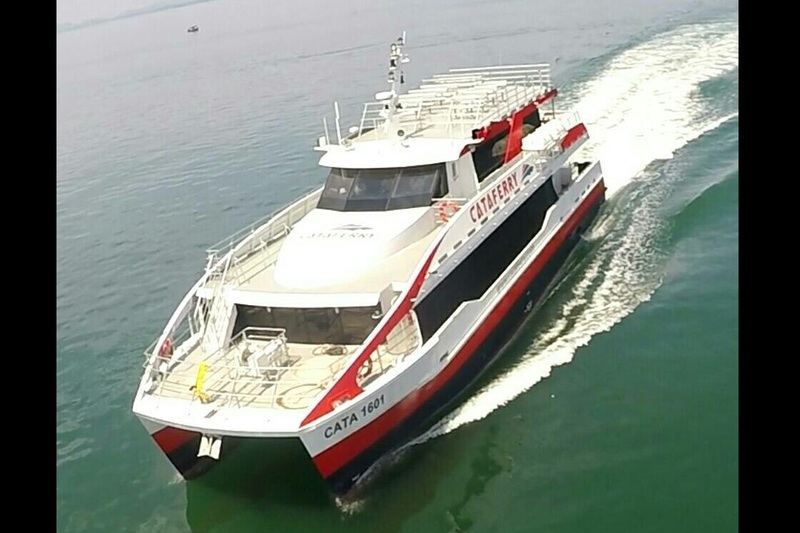 Cataferry offers ferry routes from Tanjung Gemok Terminal at the mainland of Pahang state to Tekek, Kg Genting, Kg Paya, Kg Air Batang and Kg Salang in Tioman island that must be booked with return trips. The company offers safe daily trips within the locations mentioned, so search for your preferred route on Easybook website for the full schedule and fares that suits your travel plans. 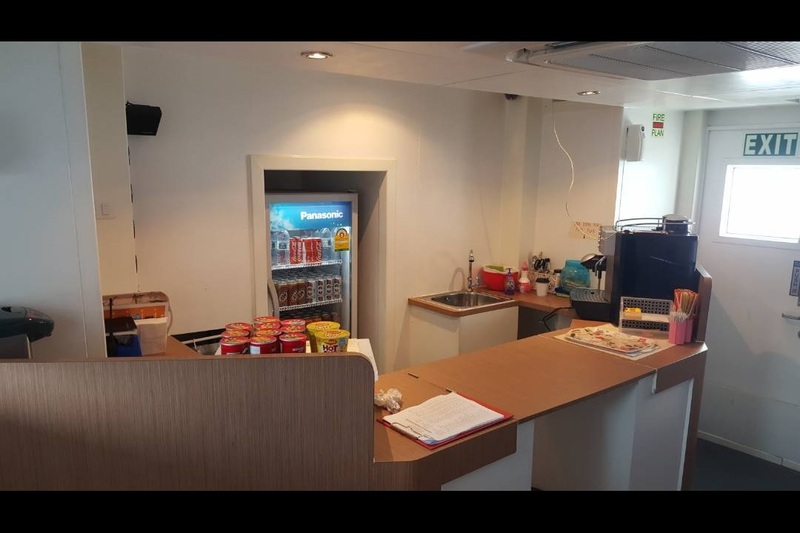 This company have gotten good reviews on various travel websites, which makes Cataferry Tioman a reliable company to book your ferry trips with. The white sandy beaches with the crystal-clear water is the main attraction of the island that allow travellers to go swimming in the ocean or simply sun bathe by the beach side. Other water sport activities that are also available on the island are snorkeling, scuba diving, fishing and so much more. Alternatively, you can go enjoy a few hours of jungle trekking to be close to nature while you witness another side of Tioman Island.